For a month, he watched. For a month, he waited. For a month, he was on the outside, not quite a player, not quite a goaltender. He was in an athlete's phantom zone, somewhere between being a goalie of the past and a goalie of the future. And, baby, Andrei Vasilevskiy was back. Already a member? To view the rest of this column, sign in using the handy "Sign In" button located in the upper right corner of the GarySheltonSports.com blog (it's at the far right of the navigation bar under Gary's photo)! 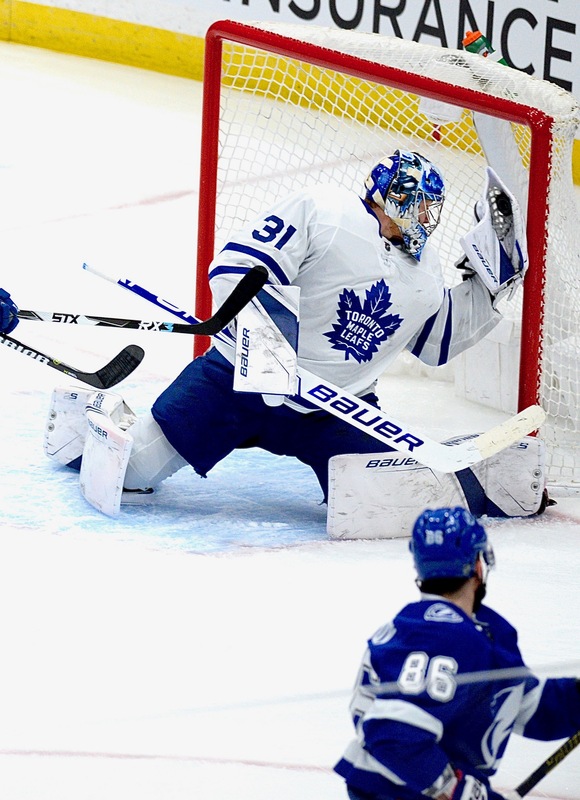 turning, twisting, contorting, rending the Toronto Maple Leafs helpless. He was part acrobat, part gymnast, all goaltender. 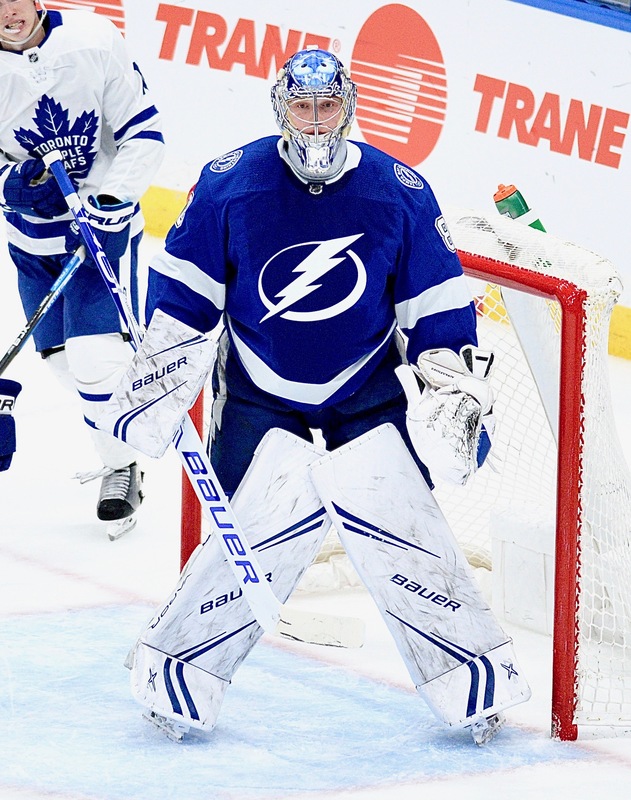 Vasilevskiy kicked in the doors on his return to competition Thursday night. 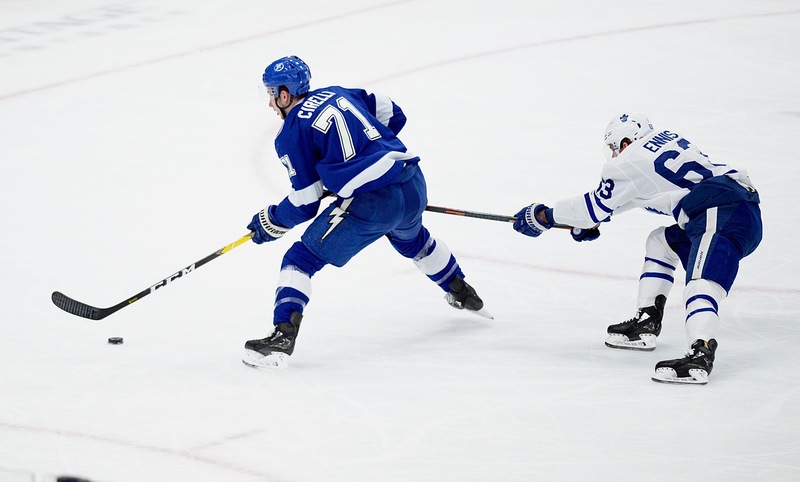 He faced 49 shots, and he stopped 48 of them, as the Lightning beat the Leafs 4-1 in a showdown of the NHL's top two scoring teams. He tied Ben Bishop's save record for the Lightning. It was the eighth straight win for the Bolts, the second longest streak in franchise history. It's two wins shy of the NHL's longest winning streak of the season. "He was unbelievable," said forward Anthony Cirelli. "He definitely didn't miss a beat. He made a lot of key saves for us in big moments. He gave us a little boost and at the end of the day helped us win this game." Vasilevskiy stopped 23 shots in the second period alone. This season, Vasilevskiy has started two games in which he gave up fewer than 23, and seven in which he gave up fewer than 30. 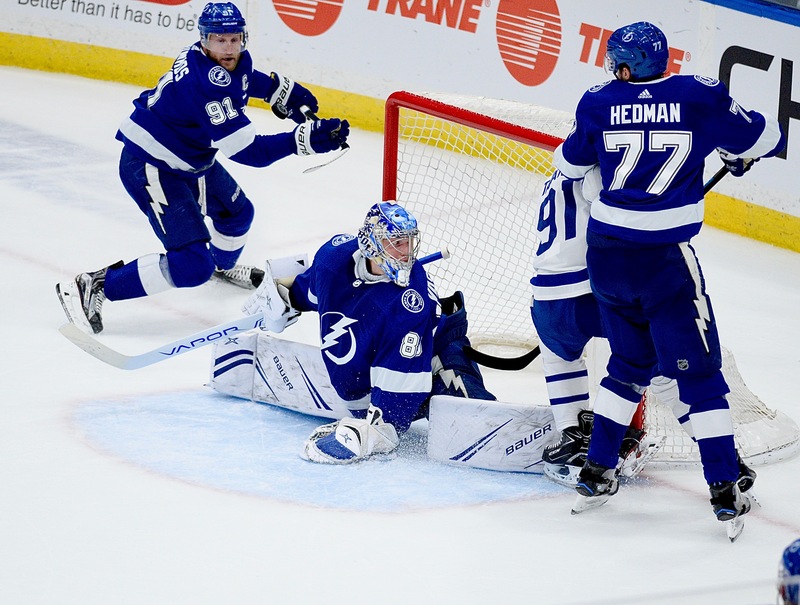 "Vasilevskiy was outstanding tonight," Lightning coach Jon Cooper said. "He was the best player on the ice for us by a country mile." 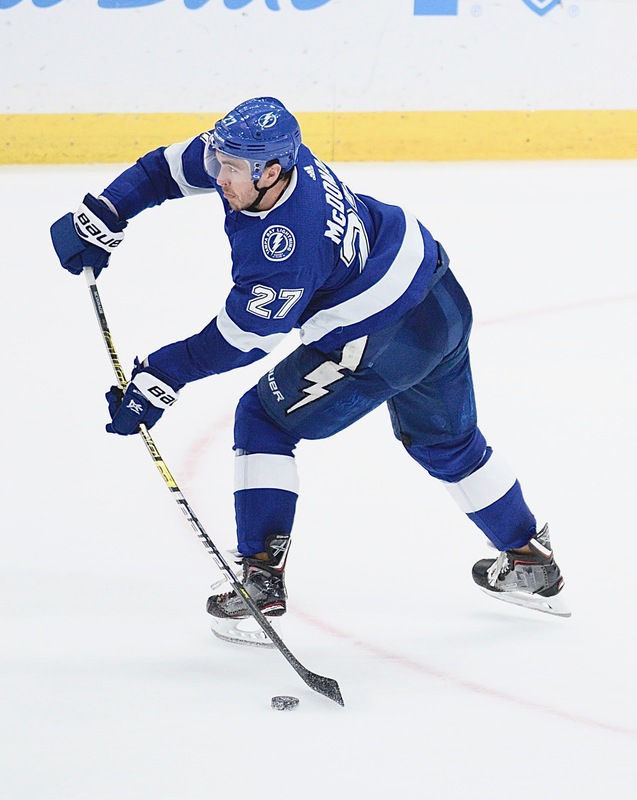 The Bolts led 2-1 as the second period came to a close, but then scored twice in 36 seconds on goals by Alex Killorn and Tyler Johnson. 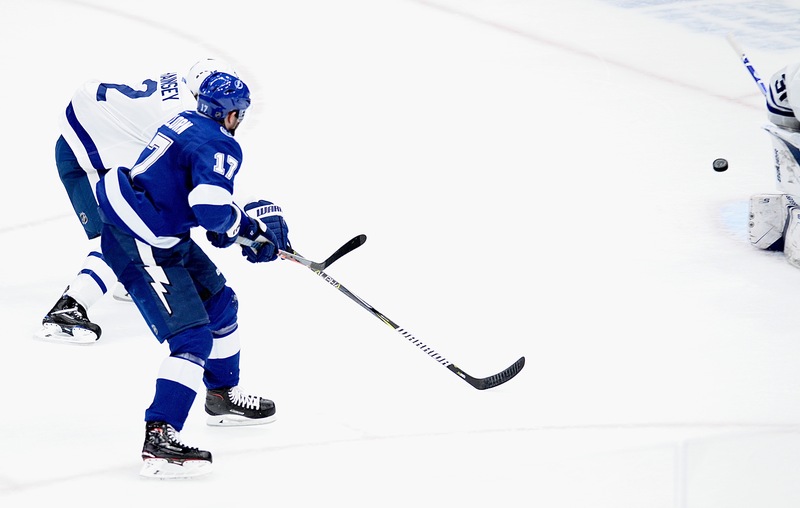 Anthony Cirelli scored Tampa Bay's first goal on a shorthanded goal, and Nikita Kucherov broke the tie when his shot was caught by Frederik Anderson, but his glove was ruled to have crossed the goal line with the puck inside of it. "They had 59 minutes," Cooper said. "We had one." The Bolts did have an effective penalty kill, stopping all six power plays. "It's difficult when you’re killing so much against a lethal power play that they have" Cooper said. "So we just continued to spend time and time and time in our zone and it became draining and then some guys don't get on the ice which makes it tough and now you’re trying to get back into the flow of the game. They were pressing." 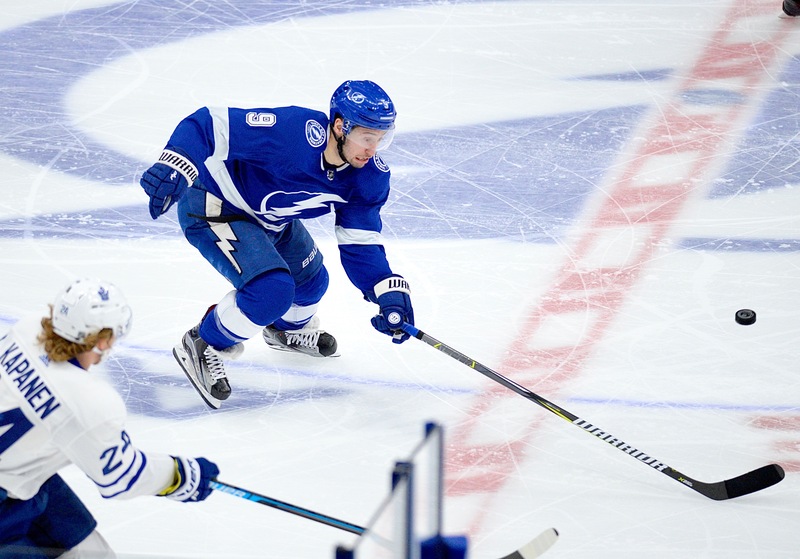 The Lightning's flurry in the final minute of the second period was big. The Bolts now embark on a four-game road trip through Western Canada. They play the Winnipeg Jets Sunday. The puck is scheduled to drop at 7 p.m.
"This will be a good test," Cooper said. "This was a test. We played an outstanding team tonight. I don't know what their coach said but I'm pretty sure he was downplaying how well they played and we're happy with the score and probably think we've got a little more in the tank than we showed tonight. It's good to get a barometer, they're right behind us in the standings, but you're going to have to go through these teams if you’re fortunate enough to make the playoffs and this is what you're going to get." Next post: Ask Gary: Have the Rays decided to leave town?